Tsarskyi kurhan [Царський курган]. 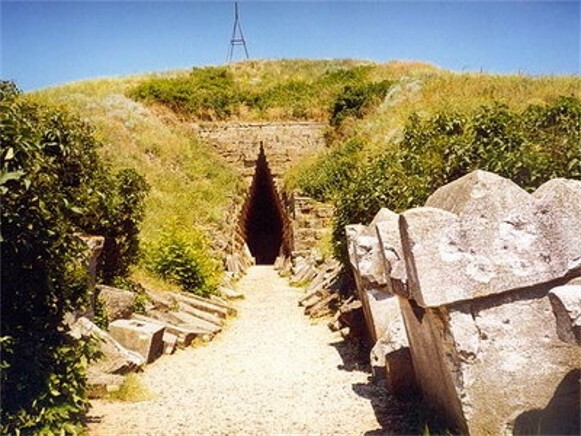 A 4th-century BC Bosporan Kingdom burial mound located southwest of Kerch, Crimea. The tomb is an elaborate structure built of finished blocks of stone. 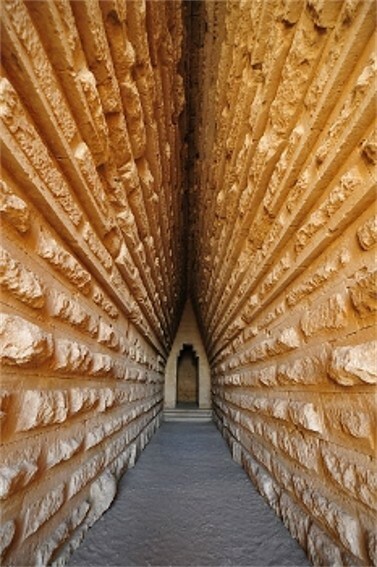 It contains a corridor (7 m high and 36 m long) leading to a chamber, in which a king was probably buried. The corridor (dromos) is vaulted in a striking manner, while the main burial chamber is a rectangular room in which the walls gradually close in overhead to form a cupola. 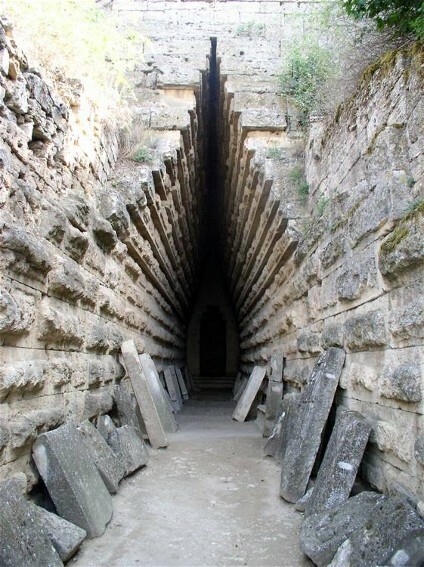 A layer of stones and 17 m of earth were placed over the structure. Excavations in 1837 found the structure had been thoroughly looted.